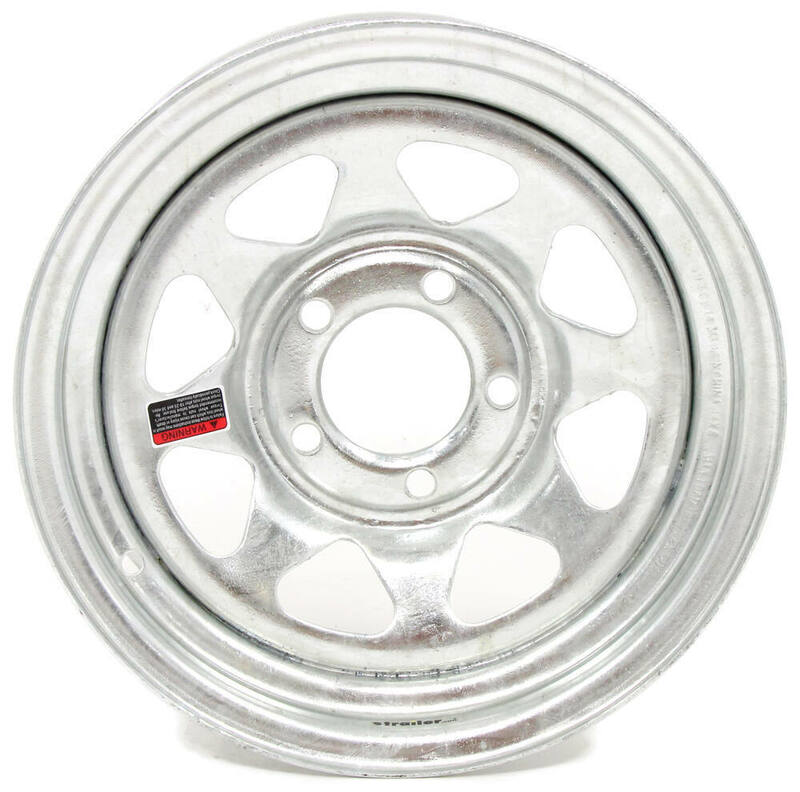 Corrosion-resistant, 14" steel wheel features a 5 on 4-1/2 bolt pattern and meets Department of Transportation standards. Lowest Prices for the best tires and wheels from Americana. Steel Spoke Trailer Wheel - 14" x 6" Rim - 5 on 4-1/2 - Galvanized Finish part number AM20354 can be ordered online at etrailer.com or call 800-298-8924 for expert service. 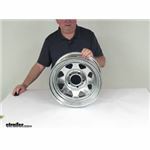 20354 8-Spoke Galvanized Wheel - 14"
These rims are excellent. They have been in and out of salt water several dozen times, and still look brand new. I rinse the rims off with fresh water after each use which if you do not, they will dull a little bit, however, these rims are the truest, finest rims I have ever bought. I have recommended them to over fifty of my friends. Buy them, you will not be disappointed, also, these high quality rims are reasonably priced you can not go wrong. Fantastic product. just great. no problems at all. I attached a link to a page that has all of the trailer tire sizes we carry. The far right column has the overall diameters of each tire size listed. The only Load Range D option we have in the ST205/75R14 size is a tire by itself like part # AM10235. For a wheel to go with it you would want the part # AM20354. Or for a wheel and tire combo with a white wheel part # AM32161. The tire size of 215/75R14 fits rim widths that are from 5 inches to 7 inches. To see all of the 14 inch wheels we offer check out the link I attached. You will need to know what bolt pattern you would need to fit your trailer as well. I attached a help article that covers that as well. We only have the Load Range D Kenda Tire part # AM10235 on a powder coated steel wheel. For that part # AM32161. Your other option is to get the Load Range D tire and then also get the galvanized steel wheel part # AM20354 and mount it locally. You can use load range D tires on wheel # AM20354. The psi issue is related to the valve stem used. 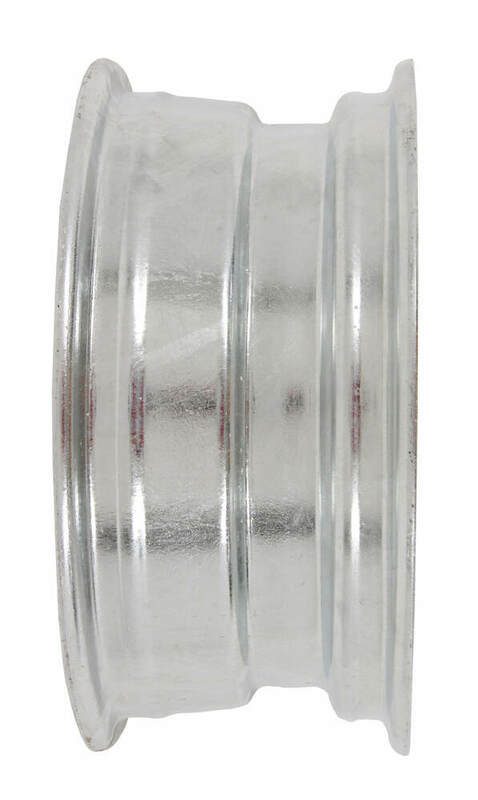 The recommended valve stem for this wheel is # AM20903 which is rated up to 65 psi. Or you could use # AM20904 rated up to 80 psi. Load range D tire # TTWTRTM2157514D is a 215/75-14 tire rated for a maximum of 2,200 pounds at 65 psi. If you are using 205/75-14 tires such as # AM10235 then they are likely rated for 65 psi as well. I have the 215/75-14 Load Range C in a Bias Ply tire as part # AM3S560 or in Radial as # AM32182. 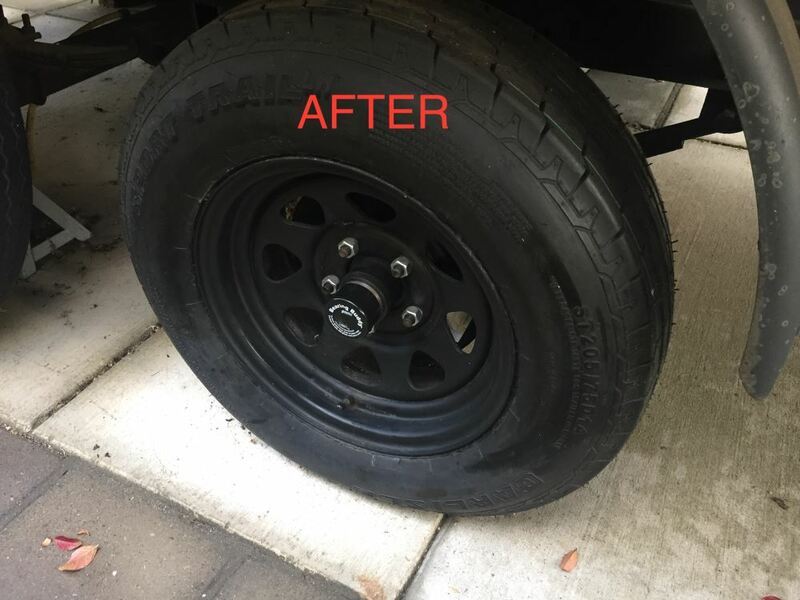 We don't offer the 215/75-14 Load Range D as a wheel/tire combo, but you can purchase them separately and have them mounted at a local tire shop. You'd need the tire, part # AM10235 and the wheel, part # AM20354 for a 14 x 6 spoke wheel. You'd also need valve stems, part # AM20903. Both wheels have a 5 lug on 4-1/2 inch bolt pattern. 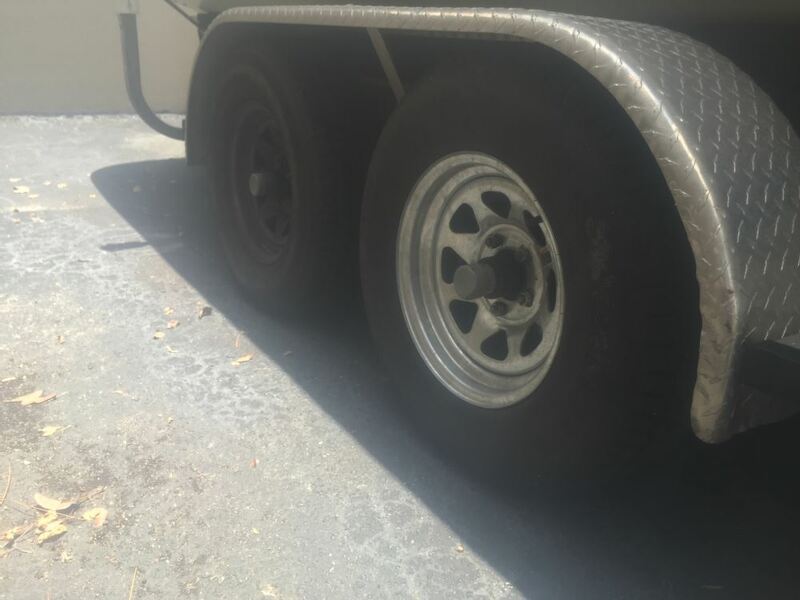 A trailer tire size 215/75-14 will fit on a 14 by 6 inch trailer wheel. The Dexstar Steel Spoke Trailer Wheel, # AM20354, is a 14 by 6 inch wheel so it will accept the tires. 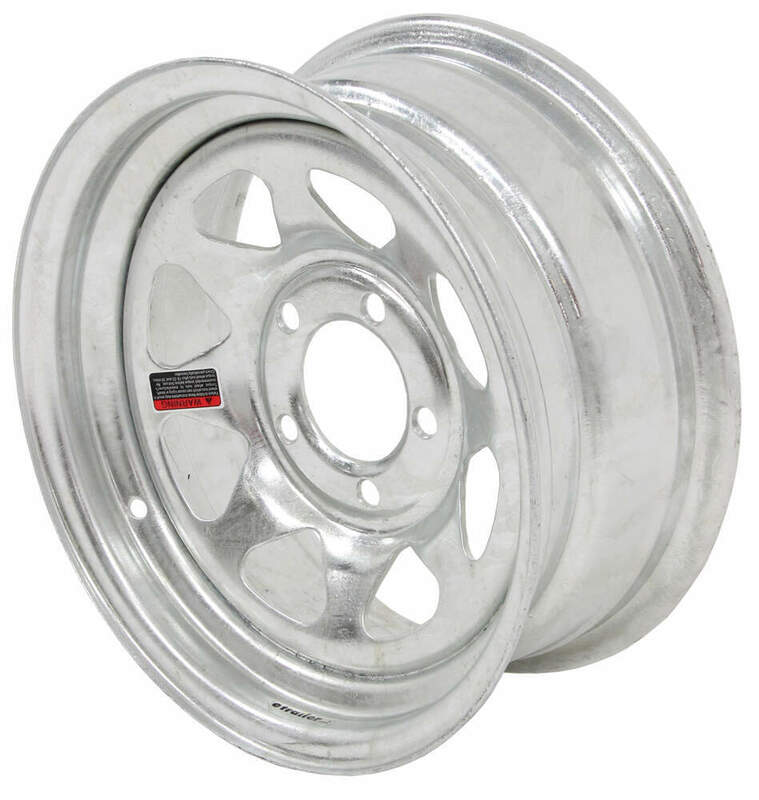 This is a galvanized wheel with a 5 on 4-1/2 bolt pattern. If you need a conventional steel wheel, use # AM20352. Since you are towing a boat trailer, I would recommend a galvanized wheel like # AM20354. 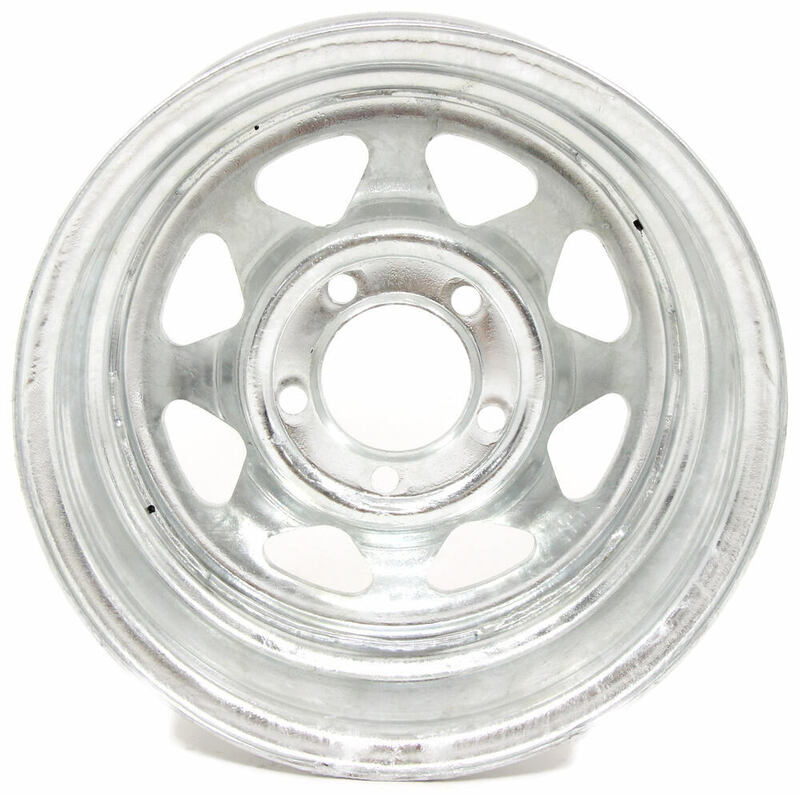 This wheel is 6" wide and has a 5 on 4-1/2" bolt pattern. You will want to make sure that your bolt pattern is 5 on 4-1/2". I have included a FAQ article on determining the bolt pattern of your wheel. I have included a video review of this trailer as well as a link to all of the wheels that we carry that are a fit for your boat trailer. For a wheel/tire combination check out # AM32156. All the Americana or Dexstar galvanized trailer wheels we offer are indeed hot dipped. By going down 1 inch in wheel size, you'll lower your ground clearance by 1/2 an inch, which is about the only disadvantage. You'll need to make sure that the tires you choose have sufficient load capacity for the weight of the trailer plus the weight of the load you'll be carrying. If you'd care to reply with your current tire size and load rating (listed on tire sidewall) and the bolt pattern of your current wheels (see linked article), I'd be happy to make some specific recommendations. We don't have the exact wheel and tire combo that you're looking for but I do have a solution for you. The Taskmaster ST205/75R14 tire # TTWTRTM2057514C combined with the galvanized Steel Spoke Trailer Rim # AM20354. The tire is a 6 ply rated for 1,760 pounds at 50 psi, has a load range of C, and maximum speed limit of 81 mph. The rim is a 14 inch with a 5 on 4-1/2 bolt pattern. You'll also need valve stems # AM20903.